IN 1993 A group of Honley residents met to discuss how to maintain the character and improve Honley village and local environs. After several meetings a formal constitution was adopted and Honley Village Communtiy Trust was born. In 1994 H.V.C.T registered with the Charities Commision (No. 1033021). stating that it's main objective is to promote the conservation, protection and improvement of the physical and natural environment of Honley Village and the surrounding area. The Trust is a non-political, non-sectarian organisation whose aim is to advance public education in environmental matters, and also to provide facilities and equipment for recreation and leisure time occupation with the object of improving the conditions of life for the inhabitants of Honley. 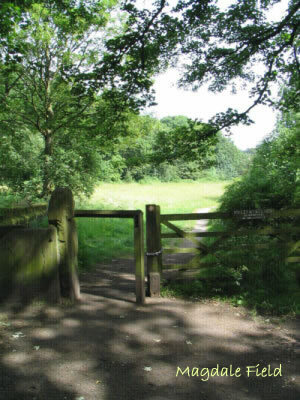 One of the first things which the newly formed committee did was to arrange the purchase of Magdale Fields, a local beauty spot on the edge of the village to save it from becoming a housing development. Fortunately for the village the purchase price was offered by an anonymous donor as a long term loan with extremely favourable terms.